In 1776, the British controlled Mobile, Alabama, where a young (mostly) French girl, Lyse Lanier, grew up as the best friend to the daughter of a British commander at Fort Charlotte. Smart, well read, and opinionated, Don Rafael is quickly impressed after meeting Lyse. Don Rafael is a rich Spanish merchant from New Orleans, who travels along the Gulf Coast. As the colonies begin their journey to independence, Lyse must decide whose side she wants to be on. Tensions are escalating as war seems imminent. What side will Spain take in the war? Can Lyse trust this new man in her life? Beth White does it again! I absolutely could NOT put the book down once I started reading. The rich details of the time are woven throughout the story in a way that transports the reader to a little known piece of American history. The author is a master at bringing these fictional characters to life. The story was so interesting and intriguing that I had to keep reading late into the night and morning. I had to know what happened between Rafa and Lyse. Their characters were so complex and endearing. I loved learning about Mobile and its role in the American Revolutionary War. I have a special place in my heart for history and was so impressed with all of the research that the author had to do to get all the details just right in her writing. 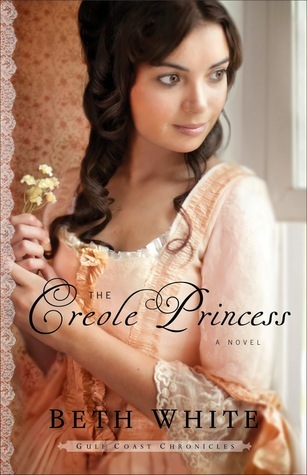 As much as I enjoyed Book 1, The Pelican Bride, I think I enjoyed The Creole Princess even more. I look forward to reading more from Beth White and hope she never stops researching and writing. I recommend this book to anyone who loves historical fiction with some romance and intrigue.